Mathias is listed on the 1898 Plat Map for Ashland County in Township 46N Range 4W. 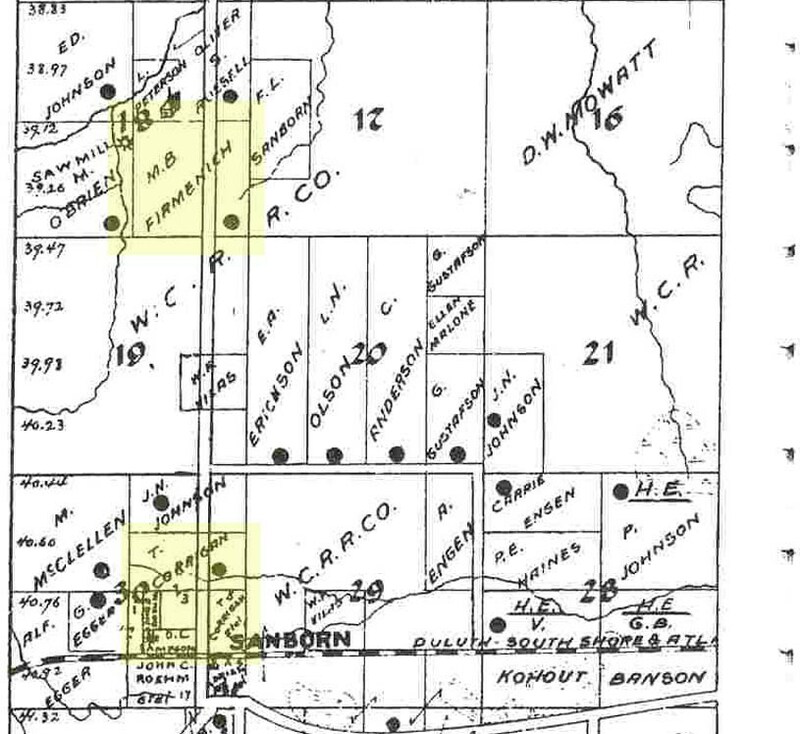 His land is right next to a “Sawmill” as marked on the map and just north of the town of Sanborn. Two plots to the east is land owned by D.W. Mowatt, who owned the lumber company where Mathias worked. This is also the land that is mentioned in the Land Record that is shown on the website. The large black dots on the map are where the land owner had a residence, if any, built. You’ll notice the other highlighted area. That is land owned by my great-great-grandfather, Thomas Corrigan, who by this point is Mathias’ son-in-law by marrying his daughter Emma Jane.